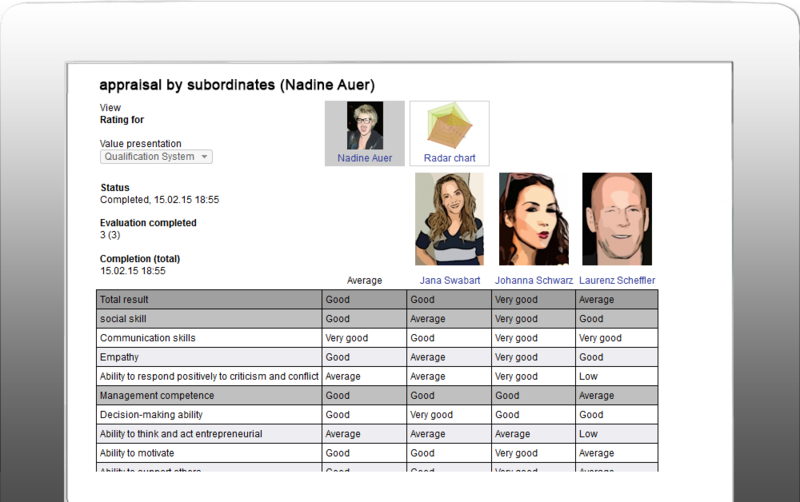 Evaluate your employee in a multidimensional way. Surveying different groups of persons provides objective 360° Feedback on your employees and management staff, out of which you can derive concrete and effective learning opportunities. 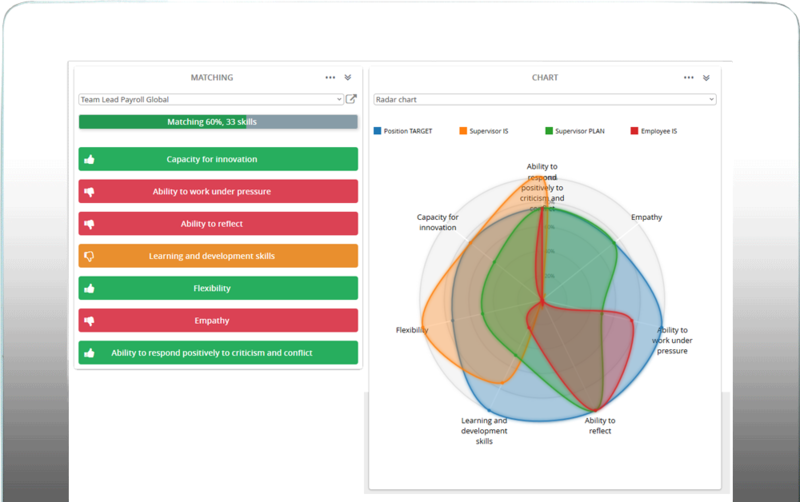 rexx 360° Feedback makes it possible to illuminate the skills of an employee from all sides using: self-assessment, assessment by the managers and assessment by the team. This all-round feedback can be conveniently gathered by online questionnaires, which each employee has access to via email. 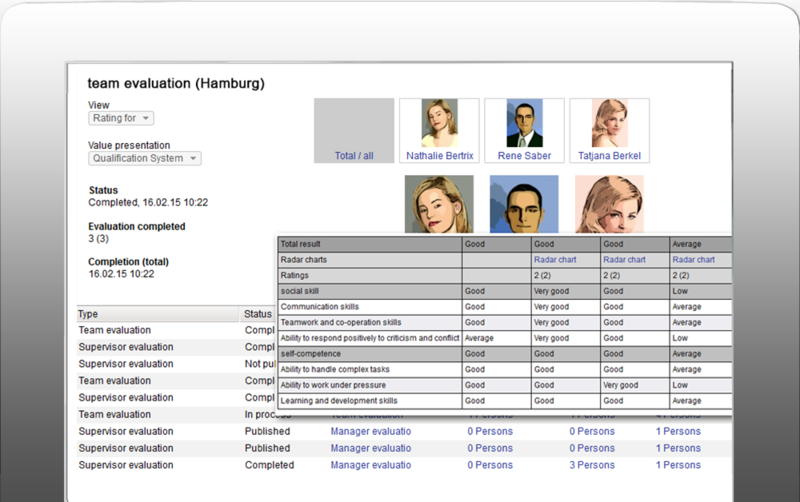 Team evaluation makes it possible for the different team members to evaluate each other. This provides a group point of view of the overall capability of the team. Team evaluation is a valuable tool to improve the performance of a team and to strengthen the team-building process. By incorporating manager assessments and self-assessments, team evaluation can be expanded into 360-degree feedback. The evaluation and the development of management staff is a very important factor in company success. The evaluation of managers consists of the employees evaluating the management skills of their superiors. This can be carried out anonymously, partially anonymously or in a completely open manner. The partially anonymous method does not allow managers to look at individual evaluations made by their employees but rather only the overall results of all evaluations. In this case, the only people to have access to the individual results are HR specialists in personnel development or superiors of the manager. It is generally very complicated to assess diverse evaluations such as these when carrying out a 360° survey. However, with rexx 360° Feedback, it can be carried out at the press of a button. The data will then be presented to you in clearly laid-out tables and charts. The recipient of the feedback is provided with a multidimensional perspective of their own performance. Comparing self-assessment with external assessment serves as the foundation for the continuing development of the employee. Further education and training sessions are an important investment in your most valuable asset – your employee. Easily manage the coordination of all measures. Strategic succession planning provides you with an up-to-date overview of the talent that may potentially come into question to efficiently fill key positions.